Texas has a long history of being so depressing to Democratic voters that it didn’t even qualify for “underdog” status until 2018, the year the Lord and Savior Beto O’Rourke came from the hallowed halls of social media to run for Senator. Finally, Texas had a chance to show the world that it did not fall into an impenetrable deep red chasm, that is until Tuesday, November 6, 2018, when in cruel disappointment after an exciting and energized campaign, we lost statewide contests yet again. The biggest question Texans face over the 2018 loss is: did Beto really ignite the energy surrounding the 2018 Midterm and State elections? Or was he merely the beneficiary of an especially enthusiastic electorate, with the charisma and traditional look the national spotlight finds especially appealing and straight ticket voting? While O’Rourke seems particularly adept at yielding the media like a sword, in large part thanks to a terrific digital team that propelled relatable stories primed for virality into the forefront of a hungry media machine, demographics and other important statewide data that can give us a better read on this question is still in the process of being accumulated. Even with an increase in turnout, though, Texas still ranked lower than the national average by voting population. That’s why, frustratingly, Texas cannot win alone, and we especially cannot win if the Democratic Party and its various Super PACs continue to soak up our money and “reinvest” it elsewhere. By May of 2012, for example, of the $21 million Texans gave to Democrats, only $4.8 million had found its way back to candidates from Texas, as reported by Richard Dunham and Emily Watkins in the Houston Chronicle. We had movement and investment in the 2018 election, mostly in competitive House races where the DCCC decided to get involved. However, if the Democrats have any hope of remaining in power, they need to do it by continuing to invest in Texas. Texas voters face some of the strictest voting laws in the nation. In early 2018, a disappointing setback announced that the restrictive Voter ID law would be in place for the 2018 Midterm and Statewide elections. Now, more than ever, the DNC and the Texas Democratic Party need investment to build an infrastructure that a state-wide party with limited resources has only been able to dream about, languishing near life support in the decades since Governor Ann Richards left office. Texas is a difficult state to organize, the size and scope make it almost impossible to be competitive in. That’s why O’Rourke’s decision to visit all 254 counties during his campaign was remarkable and why so few candidates have ever attempted it before. In order to be competitive, Democrats need to make sure they’re not only raising money to fight legislation already in place, to build a more competitive Texas Legislative Body, but they also need to work with other organizations fighting to ensure that the right to vote is not denied to any citizen. These tactics are used to keep Texas at the bottom of the voter turnout by population model and we cannot allow them to continue if we have any hope of turning the state blue. It was easy to believe that O’Rourke had a shot at defeating Ted Cruz. As one of the most unlikable members in the Republican Party, many of his own colleagues regularly distance themselves from him after he was largely credited for causing the 2013 Government shutdown. A contentious 2016 Republican primary helped to solidify his low popularity numbers. Which is why it is striking that in a recently released Quinnipiac poll, Cornyn’s approval rating in Texas is at 43 percent, lower than Cruz’s approval rating, simmering at 51 percent. More troubling for Cornyn, who was recently endorsed by Trump, is that President Trump’s approval rating in that same poll was underwater in a Republican stronghold at 50 percent disapproval to 46 percent approval. As Cornyn faces reelection, he also faces an angry constituency. Not only has he backed every one of Trump’s proposals, but as Senate Majority Whip, he has a hand in ensuring that popular Democratic measures are easily defeated. If the Republican Party takes on health care as is looking likely, with the administration set for a court battle to declare that the entire Affordable Care Act should be struck down, the ensuing fight will leave Cornyn a tattered mess, precisely at the moment when he will need to run a tough reelection campaign. 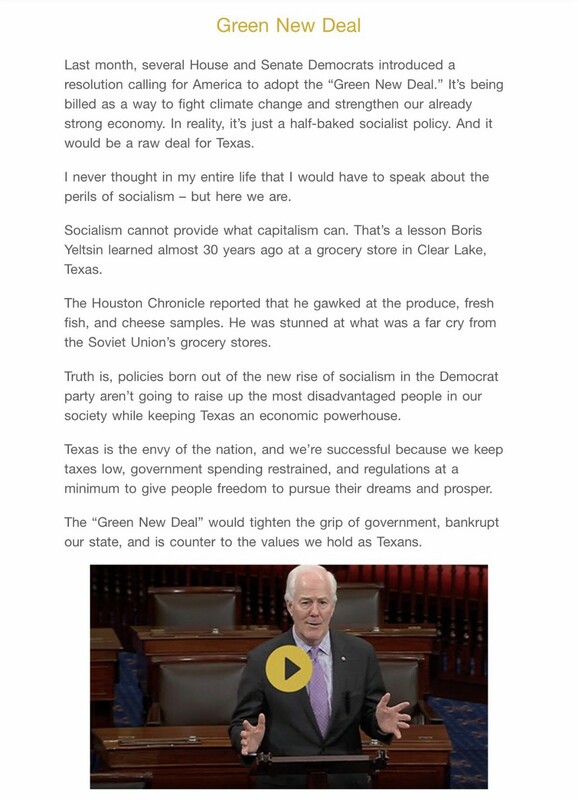 Additionally, as a million-dollar recipient of the oil and gas lobby’s contributions since 2013, his fight against the Green New Deal in a newsletter that went out the day before the ITC fire started sheds light on how he fights against environmental protections. People living in the greater Houston area, who may not know the cost of that fire and chemical release into the air and water for weeks, months, or even years, are not likely to forget which party is responsible for relaxed regulations that have long been more profitable to ignore than to embrace. Even if that could easily be disposed of as a campaign issue, with our current short attention span culture, Cornyn’s office regularly dismisses his constituents, whether through a voicemail system that is regularly full, a phone that is simply not answered by his staff, or, when answered, as I experienced myself, his constituents are told how he will vote, with little respect for hearing out that constituent. Many Texans were disappointed by Beto O’Rourke’s announcement that he would not run for Senate in 2020. Hope springs eternal in many parts of the state that the Golden Boy of 2018 will be able to pull out of the Presidential race quickly and focus back on the Senate race in Texas, should he fall behind in the polls. Texans should put an end to this wishful thinking immediately. For one, no matter what happens with the Presidential election, Beto has made his decision. For another, we’re not entirely sure what went wrong in 2018. His campaign brought a ton of focus to Texas Democratic politics, but it still remains to be seen whether he was the lightning bolt or the conduit of that energy. His public policy and his record were also often in discord with what he promised along the campaign trail, no more in evidence than when he refused to endorse Gina Ortiz Jones in Texas’s 23rd Congressional District, over his friend and former colleague, Republican William Hurd. Beto is in our rearview mirror, with respect to the Texas Senate Election. It’s time for a new campaign. It’s time for Joaquín Castro. Trump continued to use immigration to pivot away from the major upset of the Republicans, losing control of the House of Representatives in devastating numbers, by focusing on the budget and funding for his border wall. 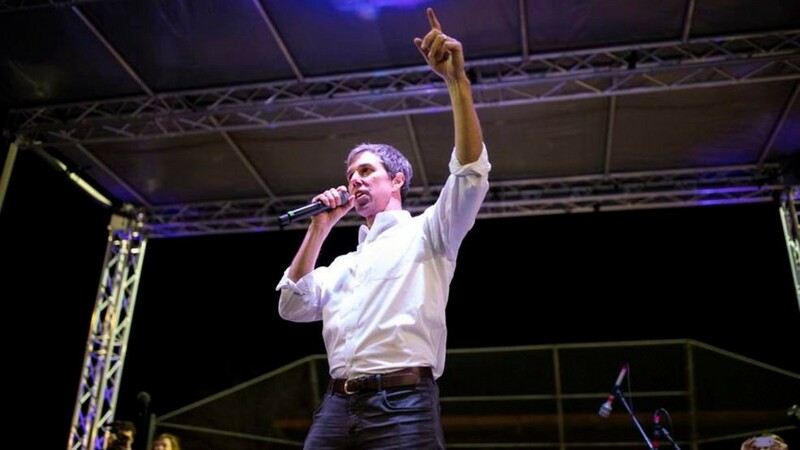 It is not surprising that he and other Republicans pushed this fight to start in Texas, hoping to excite their base on the ground in the Lone Star State and energize them for the long daunting months ahead before the 2020 campaign kicks into high gear. What they weren’t expecting to be met with, was a powerful Speaker and her Senate counterpart. As the fight pushed harder, and Trump all but lost, he sought to declare a National Emergency to force the funding and building of this Border Wall, concentrating first along the Texas Border. 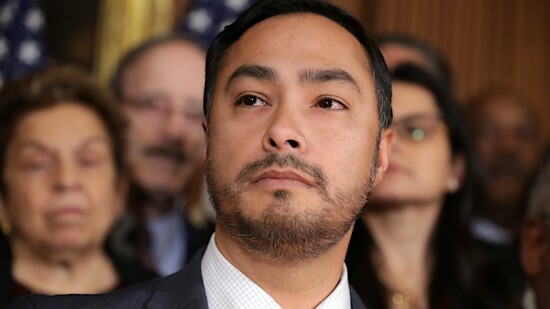 Joaquín Castro, representing Texas’s 20th District, was the first to file legislation to fight back against Trump and his National Emergency declaration. We watched Joaquín fight hard to preserve the meaning of a true National Emergency and work to ensure that not only did the House pass his legislation, but the Republican-led Majority also passed it, with a veto-proof margin. 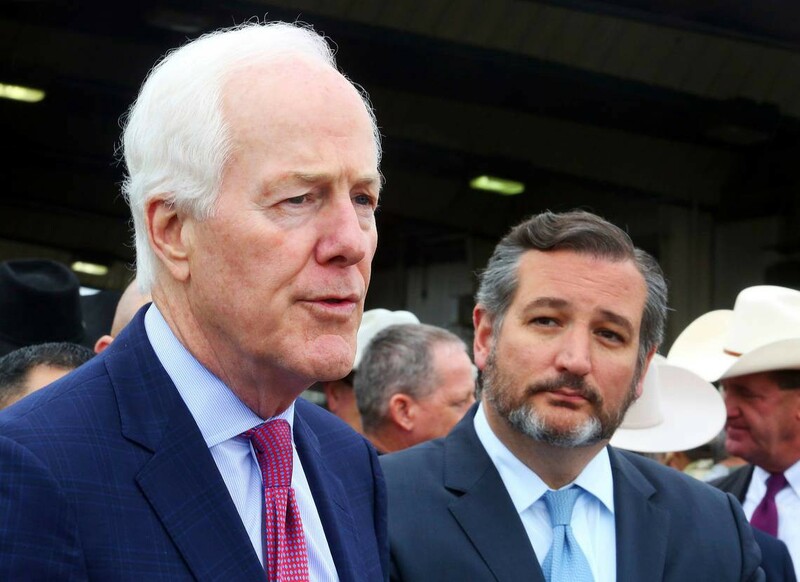 Senators Cornyn and Cruz determined to defy Texas landowners having their property forcibly stolen under eminent domain excuses, voted against the legislation, and for the President. Worse, they failed to realize that the Latino population they are actively fighting against with their votes are Texas’s fastest-growing demographic and are estimated to outnumber non-Hispanic White population by 2022. Texas needs a proven leader fighting for us in the Senate, but we also need someone that represents our growing diverse population. As a legislator in Texas’s Legislature, Joaquín fought to restore critical health care and education funding and he has kept his commitment to Texans, fighting unfriendly policies in a continually polarizing environment. We need a candidate like Joaquín Castro to make a strong bid for Cornyn’s seat in the Senate. Not only can we count on him, this election is key to a Democratic Victory in 2020, and us taking back the White House. A strong fight in Texas means a highly contested battle in a state that the Republicans have long counted as a guaranteed win. Trump and the GOP need our 38 electoral college votes because, without them, he cannot win again. Texas needs investment, the Democrats need Texas, and we need Joaquín Castro.